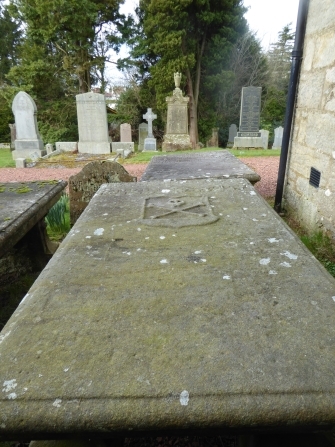 Rev Andrew Morton's gravestone is located within the churchyard at Carmunnock. The flat gravestone marks where he was buried. On the wall of the church itself is a mural memorial to him. A metal sign indicating Morton's grave was erected by SCMA in 2017. Rev Andrew Morton was outed from his charge at Carmunnock in 1662 for refusing to accept bishops and other forms of episcopacy. He moved to live in Glasgow, but continued to hold conventicles in the Carmunnock area. The curate who replaced him, Rev Robert Boyd, reported him and he was subsequently arrested and imprisoned in Stirling Castle in 1668. After ten months his health failed, so he was allowed to return to Glasgow. He continued to preach in the area, and he was later accused of baptising and preaching in Carmunnock parish. He was imprisoned in Edinburgh in 1670. When Major White and the curate were trying people accused of being supporters of the Covenant, Rev Morton escaped to Edinburgh where he hid. In 1687 Morton accepted the Act of Toleration and returned to Carmunnock, where he preached in a house belonging to Sir William Stuart of Castlemilk. Following the glorious Revolution he was restored to the charge at Carmunnock on 25 April 1690. 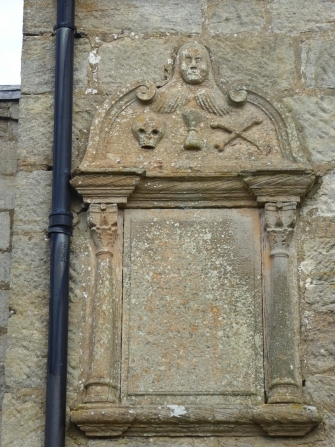 Rev Morton died on 6 July 1691 aged 75 years.